With Christmas fast approaching, I've come to realize that I do not even own a red nail polish (that's actually quite sad). Revlon Colorstay in Red Carpet looks like the perfect pop of red to have on my nails during the holidays. Me want! Have you tried any of these products? What have you been lusting over lately? 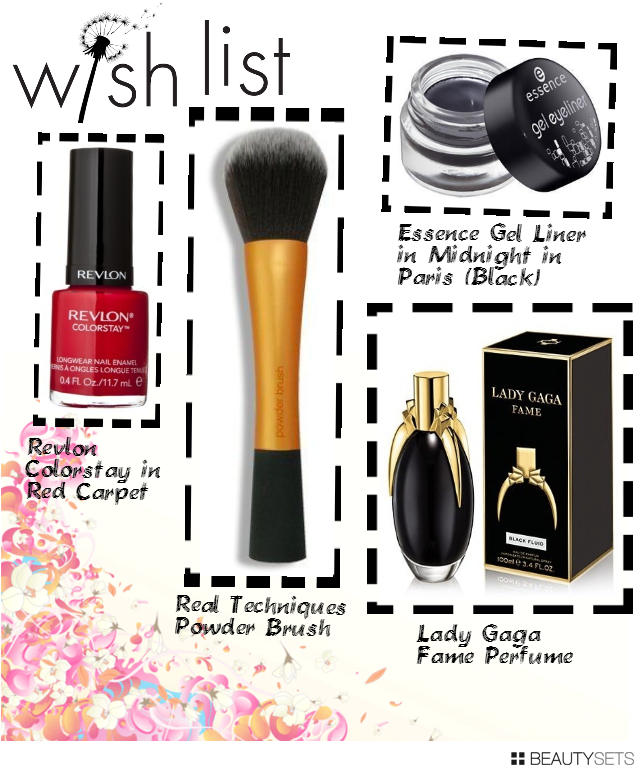 Thank you so much for mentioning the Essence gel liner! I've been looking for a good gel liner to experiment with because I'm awful at applying liquid liner as well lol. That powder brush looks amazing! Hello Natalie! I think your wishlist is very modest! I hope you get everything. :) Just out of curiousity...I'd like to follow you but I can't see where? I really am enjoying your posts, such a great variety!